It’s getting lighter by the day and before we know it, summer will be here. If you’re eager to entertain this summer and get your friends and family round, here are some suggestions to get your garden primed and ready. After endless weeks of cold, wet weather, it’s likely that your garden may be looking a little worse for wear. Before you start preparing for the summer, take an hour or so to clear up the leaves and get rid of any rubbish or weeds. Dust off the barbecue and your outdoor furniture and give them a good clean. In the warmer months, there’s nothing better than whiling away hours in the garden. Invest in some sun loungers for catching rays and a sofa set to enjoy the sunset with a few drinks in hand. For a modern, cool look, add some outdoor bean bags. Create a cosy setting with cushions, throws and blankets to keep you warm when the sun goes down. Lighting can make such a difference in the garden. Using candles, lanterns and up-lighters, you can create a romantic atmosphere or get the party going, depending on your mood. Use scented candles and soft lighting to relax with a book or enjoy a good catch-up with a friend. Switch things up with flaming torches and fairy lights for an evening drinks party. If you’re planning to have people round on a regular basis, a sturdy and stylish table and chairs set is a must. Go for classic solid wood to stand the test of time or a rattan style for a country garden vibe. If you’ve got a special occasion in mind, such as a birthday or an Easter party, don’t be afraid to get creative. 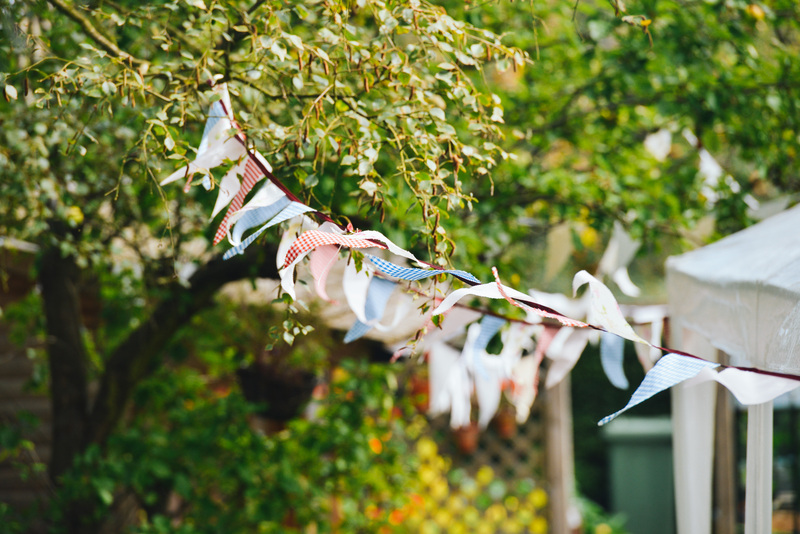 Homemade bunting is a fabulous way of personalising your party and bringing a theme together, for example. Barbecue season is all about food, drink and good company. To ensure your guests don’t go thirsty and save you countless trips to the kitchen fridge, why not set up a temporary bar? Use ice buckets to keep beers and bottles of wine cool and don’t forget to provide plenty of bottle openers. Add a neon vintage style bar sign for a bit of fun. Even if your barbecue has been stored safely in the garage for the winter, it’s likely to require a bit of TLC. Dust off the cobwebs and give each grill plate a thorough going over. Ensure you have plenty of gas or coal before you start planning any events. Barbecue season is looming and there’s tangible excitement in the air. Now is the time to start planning ahead and laying the groundwork for the perfect summer garden. Get your rubber gloves on, let your creative juices flow and prepare to sit back and enjoy the results of your hard labour with a chilled beer in hand. Next Post Inject a Little Personality into Your Home!